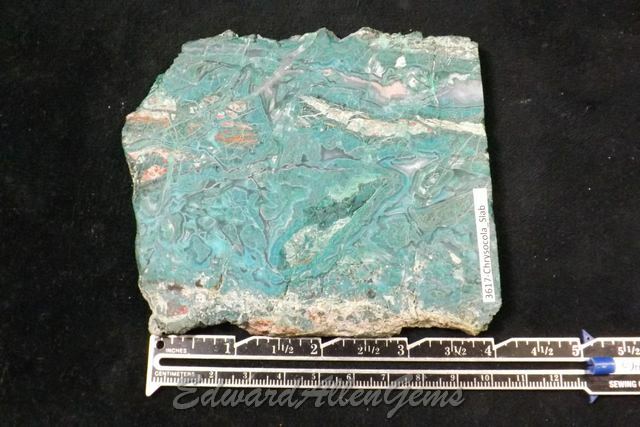 These are slabs and rough pieces of Chrysocolla, unpolished, and all photographed wet. We charge one shipping cost for all that will safely fit in a Small Priority Flat Rate box and will ship to the U.S. as well as Internationally. First Class Shipping available upon request. See our Store Policies for full details. 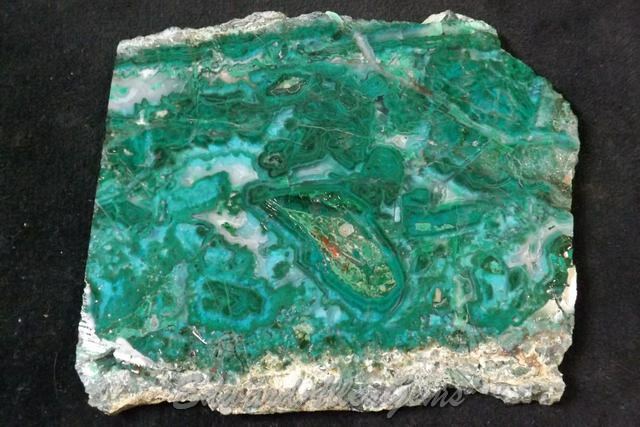 This is a slice of Chrysocolla in Quartz. 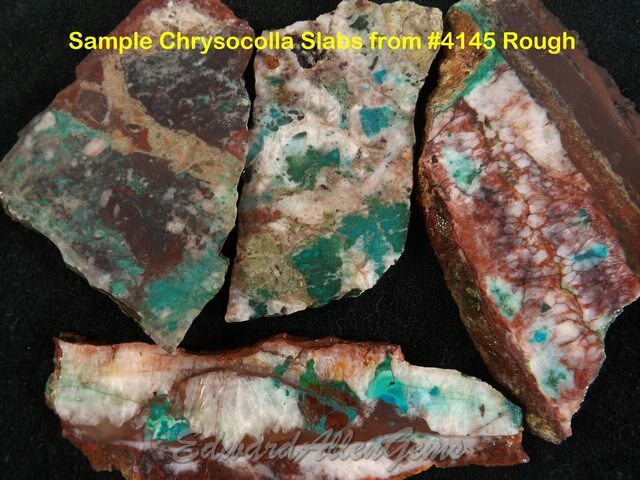 This specific piece and those in the next photo have already sold, but we have more slabs from this material (the Chrysocolla rough we offer below). If you are interested, send us a message with this item referenced (#4138) and we'll get more up. 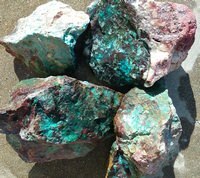 This is Chrysocolla rough, some with Malachite, Cuprite and/or Quartz. 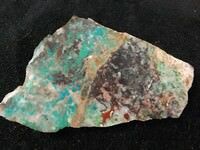 We have several batches, all similar to what you see, so you may or may not get any of the specific pieces you see in the photos. Sizes vary from approximately 2" up to 4-5" one way. We acquired this from an old collection, we did not collect it ourselves, so we can't say for sure where it was collected. 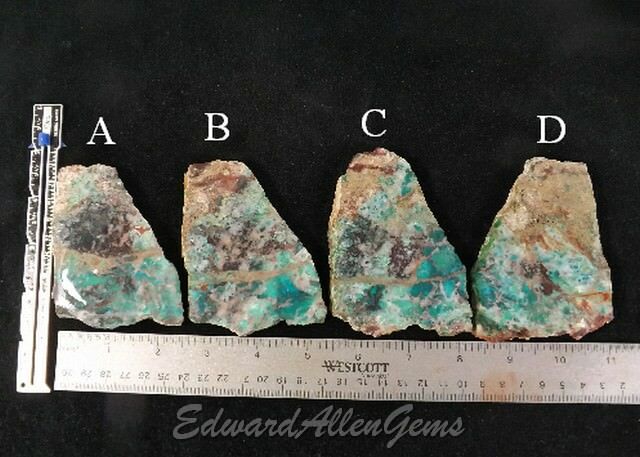 As with any rough material, some pieces are nicer than others and we don't know what each piece will yield, there are often unforeseen flaws, fractures, etc., but we've sliced several pieces and each one yielded a variety of nice potential (see last photo with sample slabs). (Some photos were taken through the chicken-wire cage, sorry!) If ordering more than 3 pounds, please also select the Medium Flat Rate Box at the bottom of this page. 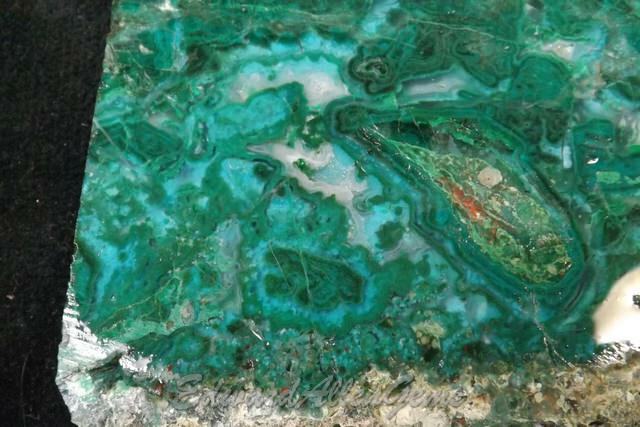 This is a slice of Chrysocolla with Malachite in it. 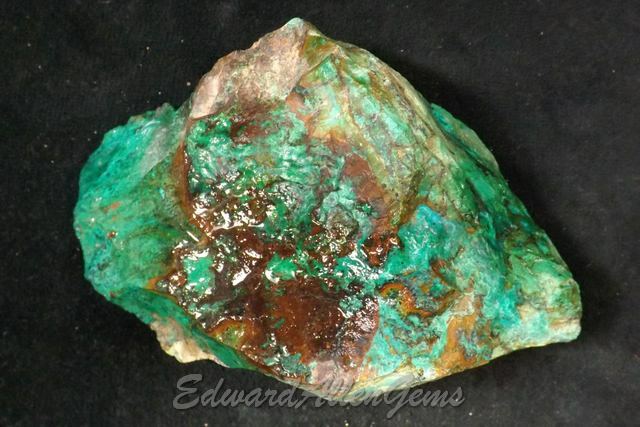 It has several beautiful blue gem silica spots in it as well. 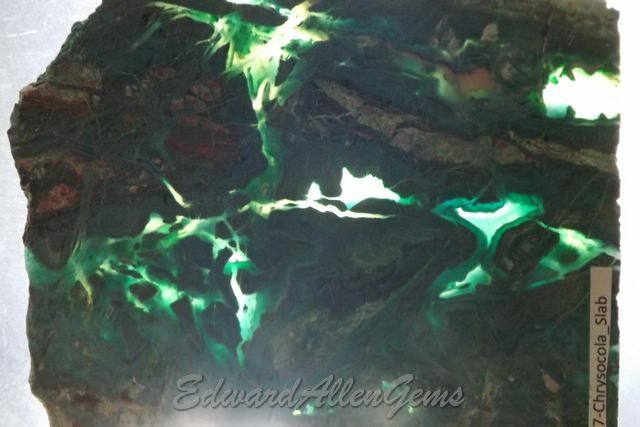 The third photo shows it with light from behind, so you can get an idea of the silica in it. 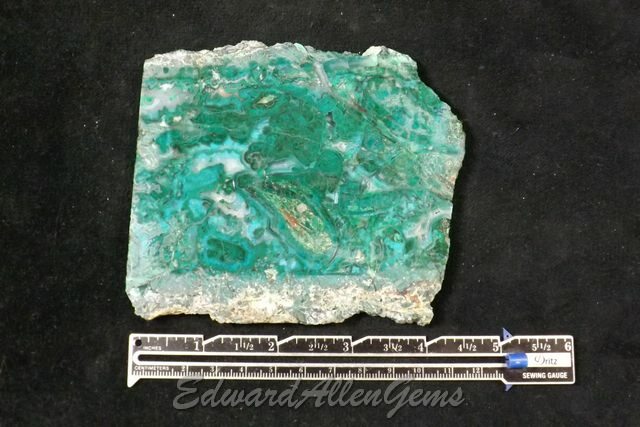 It is roughly 4 1/4" x 3 1/4" and just over 7 mm thick. 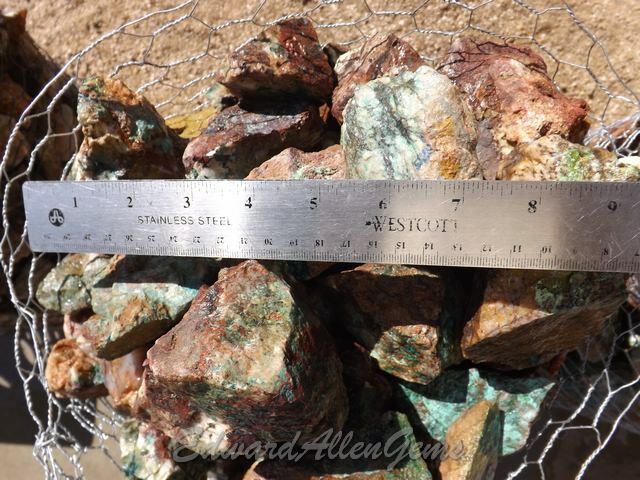 It weighs 165.9 grams, or 5.8 ounces. There are some fracture lines but still looks like lots of nice potential. 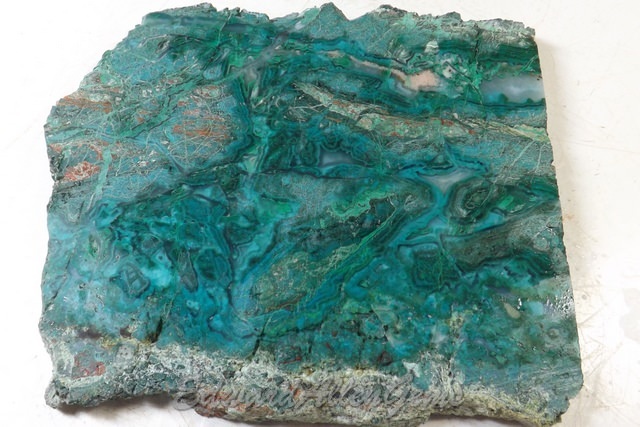 Please note however, Chrysocolla may easily break apart, so buyer should take that into account before cutting and might consider using something to stabilize it before cutting if concerned. First Class Shipping available upon request. Looking for Copper World Chrysocolla/Malachite Similar to This? 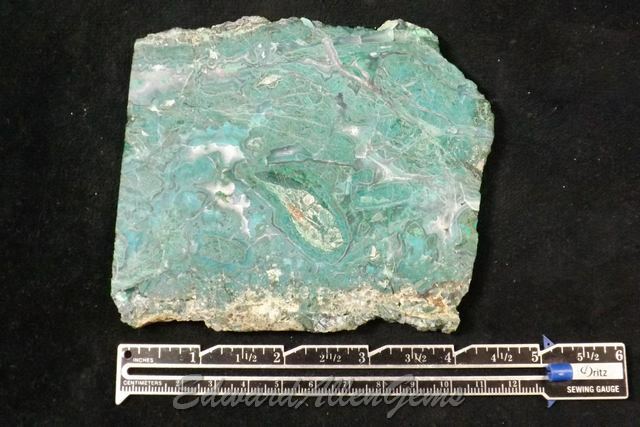 This is chunk of rough Malachite/Chrysocolla, dug years ago from the old Copper World Mine out in the Mojave Desert. This piece has been sold. 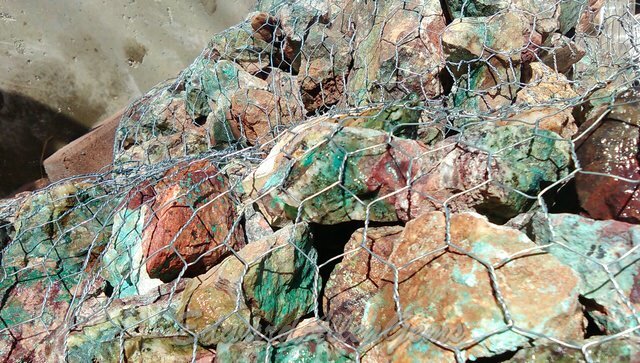 But we do have more material from this same area. 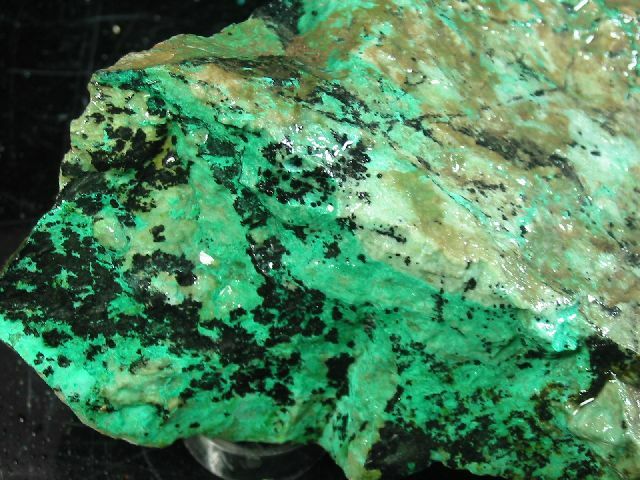 The Malachite might actually be Dolomite infused with Malachite. 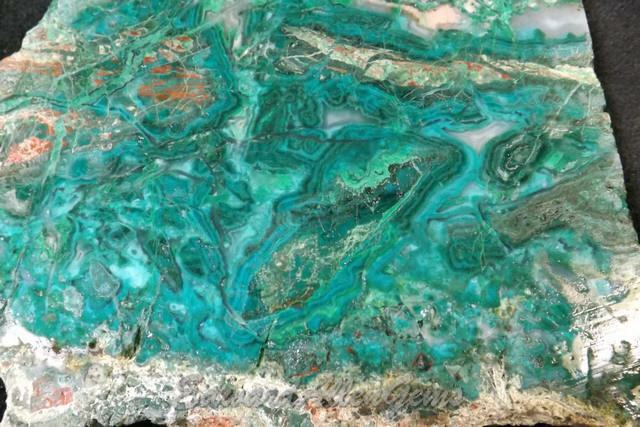 Like this piece, some pieces have a little Chrysocolla in them, but we've also see a little Azurite and some with red and black minerals (possibly Cuprite and Manganese?). Contact us and we'll pull and photograph more upon request. If you want to see pieces similar to this one in particular, refer to Item #3591. Otherwise, just tell us Copper World. Depending on the size and quality, we usually ask between $3-$8/lb. 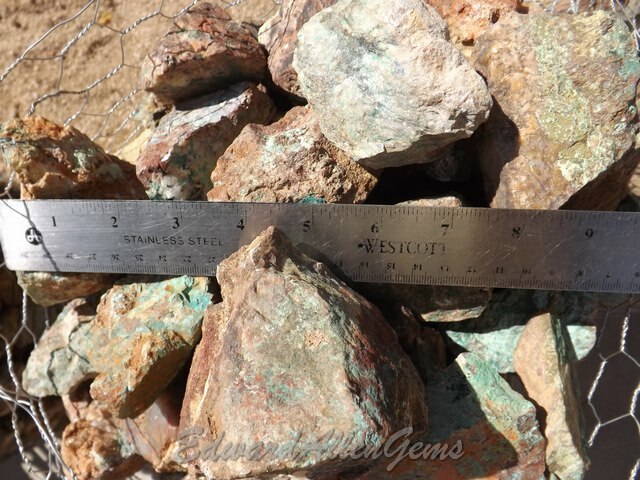 Looking for Copper World Material like this? Like the above, this is a piece of Malachite, with a little Chrysocolla, dug years ago from the old Copper World Mine. This piece has been sold. 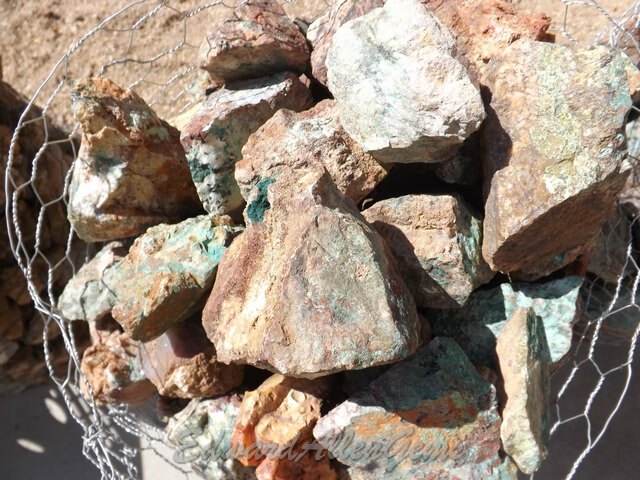 But we do have more material from this same area. 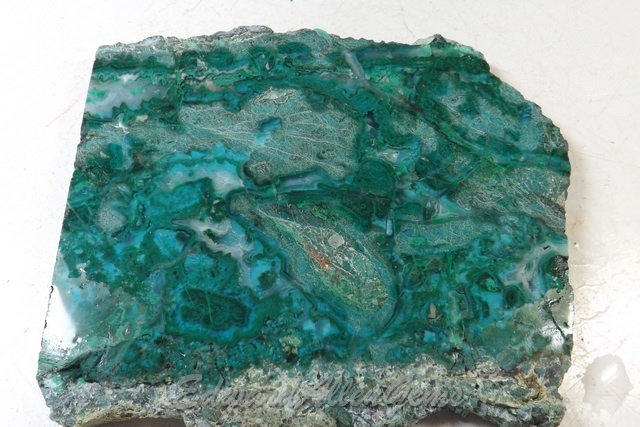 The Malachite might actually be Dolomite infused with Malachite. Like this piece, some pieces have a little Chrysocolla in them, and a black mineral, possibly Manganese, but we've also see a little Azurite and some with possibly Cuprite. Contact us and we'll pull and photograph more upon request. If you want to see pieces similar to this one in particular, refer to Item #1106. 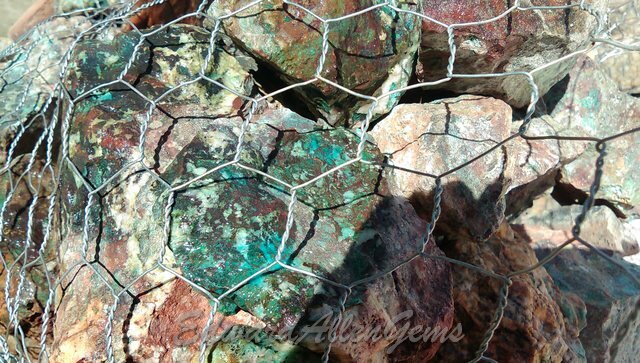 Otherwise, just tell us Copper World. Depending on the size and quality, we usually ask between $3-$8/lb.